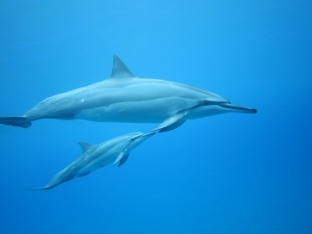 Meet the the dolphins and whales of our planet, who are here to support you in your evolution and connect, heart to heart, with each and every one of you! 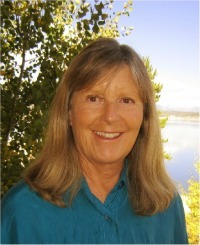 Since 1999 Earth’s dolphins and whales have connected with me, Kathryn Jensen, and my clients through energy kinesiology sessions. Until recently clients included children with special needs-Indigo, crystal, and psychic children as well as adult spiritual seekers craving in-depth personal growth and energy healing. Presently I work exclusively with adults. The dolphins and whales use me as a conduit for immersing clients in their joyful, unbelievably powerful healing presence. Through these experiences I've discovered my purpose, which is ultimately to create a bridge between you and the cetaceans. 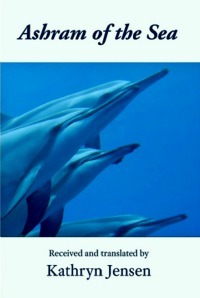 I do so by providing you with cetacean inspired systems for personal and spiritual growth. Through the years the dolphins, whales, ascended masters and archangels have guided me through the process of creating unique healing systems that are practical, easy to use yet profoundly effective. The central focus of this site is to give you in-depth information on inspiring, powerful ways to connect to the dolphins and whales of our Planet, who are here to assist you in your spiritual evolution and healing of your mind-body-spirit. Enjoy exploring the pages on this site. As you explore these pages it's likely you'll feel the presence of the dolphins and whales who are here to assist you in your personal growth and spiritual evolution. 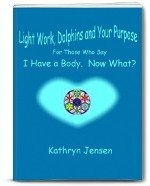 methods emphasizing a dolphin-whale inspired chakra healing of mind-body-spirit and ultimately discovering your Life Purpose. The cetaceans use the healing methods, you are introduced to on this site,with their community members. The dolphins and whales tend to Earth’s grid and chakra system with these energies. These transformational techniques are designed to nurture us through all aspects of healing body, mind and spirit. All methods and products give us the opportunity to connect directly with Earth’s Cetacean Nation, so the dolphins and whales may assist us in healing our deepest fears. 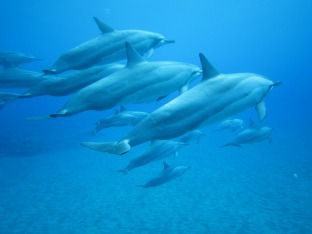 I’ve observed many students and clients discover their unique, life purpose with help from their cetacean assistants. These methods help us heal fear so deeply and thoroughly that ultimately we connect, through our hearts, with our guides, who help us experience our essence and our connection to the heart-mind of God. As you explore this site you'll feel the presence of the dolphins and the whales as you learn about their gifts to you! Introduce yourself to the transformational, self-guided course called The Blue Dolphin Essences, a Course in Loving Yourself as You Love Another. Learn about the Course Coat of Many Colors and other educational opportunities. Learn About the Essences for the Home Temple and the role they play in a chakra healing system using The Twenty Rays of Christ Consciousness. 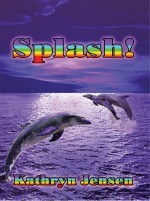 Read the inspiring, often astonishing books and articles from the cetaceans and other enlightened beings who are devoted to your evolution and well-being.